The ‘pagerank’ of a website is a mysterious number between zero and ten used by google and others to decide how far up their search results to put your website. It is obviously an important number. If you have a book or an e-book and want people to find out about it, a google search is probably where they will start, and it’s no bloomin’ good if your website/blog is right at the bottom of the last page of results. First out, check the unique visitors and daily page views. Looking at the ‘Stats’ for my blog (design/stats in blogger), the pageviews figure of 56 a day seems about right. But the pagerank figure of just ONE is a bit disappointing, given that the maximum possible is TEN. However it doesn’t seem to impact too badly. If I enter ‘Bokassa's Last Apostle’ into a google search the secreen is full of links to posts on my blog. Even entering ‘Rod Shelton’ provides a hit to my blog on the first page of results. However those searches assume the person doing the searching knows what he or she wants to find in the first place. Enter ‘gay novel’ and you would have to go a very long way down the results to find a reference if any to my book. I don’t suppose there is anything I can do about that. Then there are the 206 ‘google indexed pages’. I don’t have 206 published pages, and so I can’t get my head around this statistic. However it clearly is of importance. Google doesn’t just go through the entire world wide web every time I do a search to retrieve the results. It would be far too costly and take way too long. No, programs called ‘spiders’ are patiently crawling around the web in server farms all over the place quietly indexing the internet. Once they find a new website they decide whether it would be of interest and, well, ‘index’ it. Then they come back later and index any pages which that website links to. Google uses the index to generate search results. Eventually the spider creates a pagerank for the website according to the likelihood that a user blindly clicking on links on other webpages would land on your website. This is the pagerank and it determines how far up the list of results your website will be. The key thing here is that it is the links to your page that are used to determine the pagerank. A link from another website to your page is called a ‘backlink’ and the search I did on vampirestat reveals that there is just ONE google backlink to my site. What website is that backlink on? Can I find out? The answer is ‘yes’. All you need do is type ‘link:www.yourwebsite.com’ into a google search and hit return. This yielded the unsurprising result that the one backlink to my site was from my publisher, paradise press, whose website has a pagerank of three. The Paradise Press website in turn has two backlinks, from websites with pageranks of four and five. And this is the other part of the pagerank equation: the pagerank for your website is weighted by the pagerank of the sites which link to it. Paradise Press has more backlinks from higher ranked sites and consequently a better pagerank than mine. Now I’m not going to stress too much about this, although many people spend a lot of time and energy trying to improve the pagerank of their websites. This is the fabled ‘search engine optimisation’ or SEO we hear so much about. The simple message is that the more links to your website, the better your pagerank ought to be. But it is, as always, not quite as simple as it sounds. If others are using any means fair or foul to improve their pagerank, so google and others are also working just as industriously to make sure their searches give users the information they want, not links to sites with artificially inflated pageranks and no useful content. Reading around the subject, ill-informed efforts at SEO can backfire, leading to poorer, not better pagerank. Take my backlink from Paradise Press for example. I have linked to Paradise Press from the outset, yet there is no backlink from my blog to Paradise Press credited by Google. However I did go to http://www.alexa.com/ where I found out that one of the ‘alexa backlinks’ to my site is from Bristol Gay Men’s Book Club, which DOES have a link from my site. Theoretically, reciprocal website links should work in this way, helping BOTH websites’ pagerank. Note though that the link from the Bristol Gay Men’s Book Club to my site hasn’t generated a google backlink, just an alexa one. 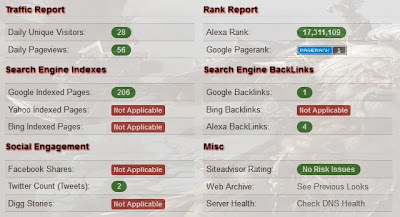 Given the efforts being made to manipulate the system, Google and others are understandably loth to share the detail of how they index and rank pages, keeping the SEO companies guessing. So … anyone wanting to link to my page is very welcome to do so, and I will return the favour. We all have scratchy backs! PS: I found some blogger widgets to display the pagerank on your blogspot blog here: http://www.getrank.org/google-pagerank-display-widget-for-blogger/, although I’ll have to think long and hard about whether I want to advertise my own paltry pagerank of ONE.